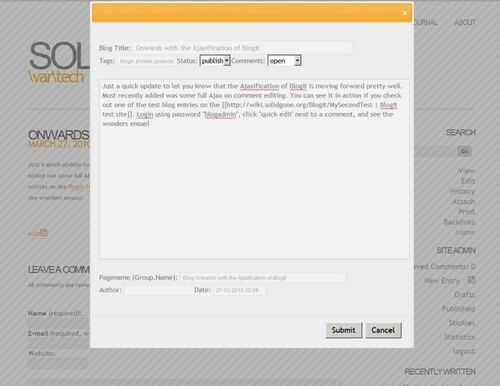 Just a quick update to let you know that the Ajaxification of BlogIt is moving forward pretty well. Most recently added was some full Ajax on comment editing. You can see it in action if you check out one of the test blog entries on the BlogIt test site. Login using password "blogadmin", click "quick edit' next to a comment, and see the wonders ensue!